I’ve moved from Arizona where I continued to waste away to Los Angeles, which holds out hope of being a more nourishing place. Despite my frequent protestations and attempts to be an isolated curmudgeon I’m actually an incredibly social creature. Without being plugged in to real community I just wither away, so hopefully L.A. will give me a chance to really recharge and conquer. It’s supposed to be a temporary move, a helpful staging area on the way back to good ol’ New England. The tentative plan is to be back in Massachusetts by sometime this summer – I miss my old stomping grounds, all the dear friends I have there, the ocean, the seasons, and I plan to reclaim a life there as soon as I’m able! Resolutions for the New Year? Too many to count! The bottom line is – a year from now, when I look back from 2012, I hope to be happier, healthier, and more alive. Doesn’t seem too much to ask. On a more mundane front, this site is kind of a mess and covered with cobwebs – I’d like to post more frequently and clean it up a bit, not because I think the hordes of the internet would even notice, but because it’s a simple way to stay creative and productive. 2011 will be my year, the year of triumphant return to the land of the living! Or it won’t, as so many previous years have failed to be. But as I write this I am hopeful and looking forward to the months ahead. It’s been many, many, many years since I was able to say that! So here’s to the coming year – may it bring us all gobs of good things. As is annual tradition, here’s an Amazon wishlist for this year’s holidays. Having a fantastic time – so nice to be surrounded by friends. I am a very lucky man. Words cannot describe how funny I found this video, even after multiple viewings and uncounted slow-mos. This, my friends … this is what the internet was made for. 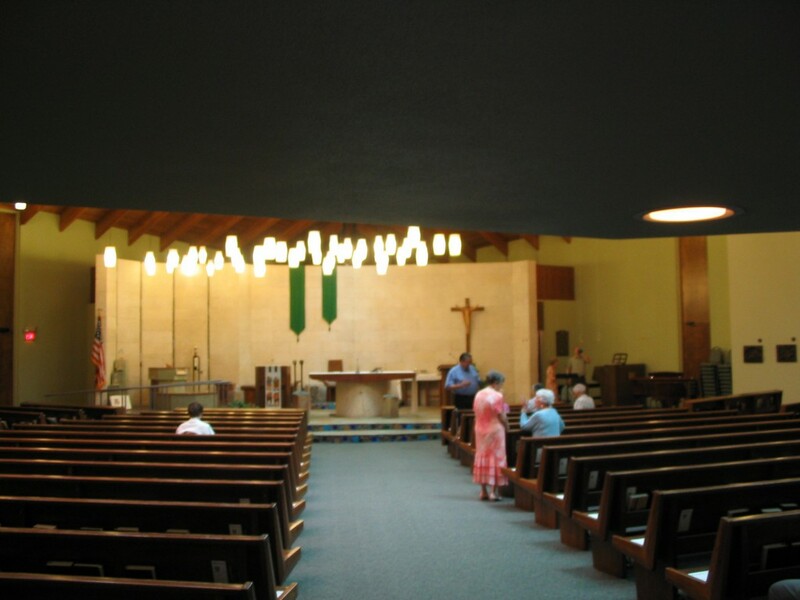 At the risk of sounding shallow or overly critical – my church is ugly. I am fully aware that the physical architecture of the building has absolutely zero bearing on what takes place inside – but I have to admit, the number of small things I dislike about this church can be really distracting. Let’s start with the exterior. 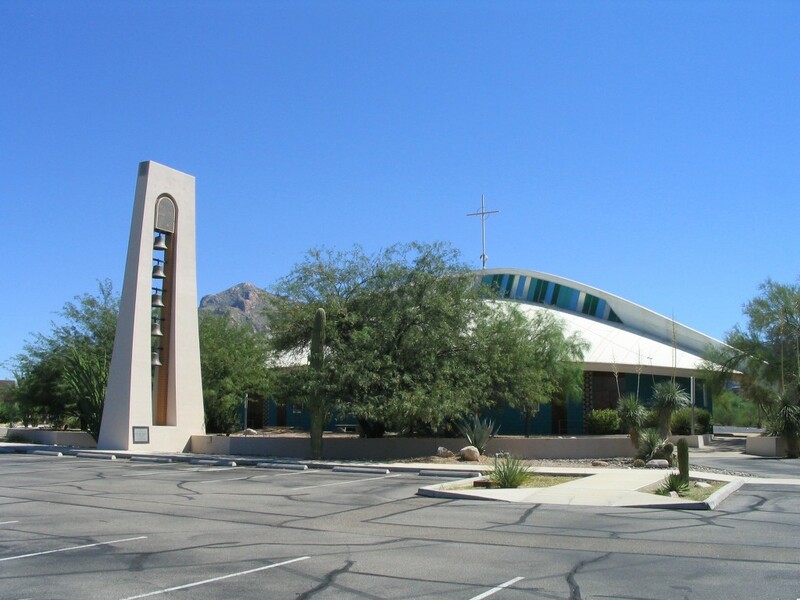 Is this a Catholic church, or Spacely Space Sprockets? Blech. Can’t stand it. The interior is no better. Wow, where to begin. First and foremost, there is no tabernacle anywhere near the altar. I’m sure everyone has noticed that most Catholics genuflect (that is, get down on one knee) before entering the pew to sit down – we do this as a sign of adoration and respect for Christ’s body, present in the tabernacle. In this church, though, the tabernacle is not up at the front, it is in the rear, in its own little ‘chapel’ room. Again, yuck. The overall style is very southwestern, which is to say – drab and dreary. 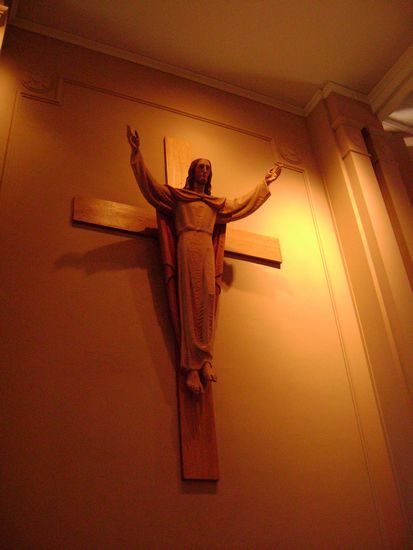 It also annoys me to no end that the crucifix isn’t even centered behind the altar, it’s stuck off to one side (though I admit – that may be more of an OCD thing :P). And speaking of the crucifix – yep, you guessed it, my absolutely least favorite style. I find it difficult to call to mind the sufferings of our Lord when it looks like He’s flying off to join the rest of the Superfriends (here’s a closer up shot of the style). I will say this though – I’ve never, ever encountered more comfortable kneelers than the ones at this church! I’m not an old man just yet, but my knees are in pretty rough shape, and I find it extremely difficult (usually impossible in fact) to remain kneeling as long as the 70- and 80-year olds around me. This place has like Tempurpedic kneelers or something, though, they’re really great. So why am I so grouchy about all this? 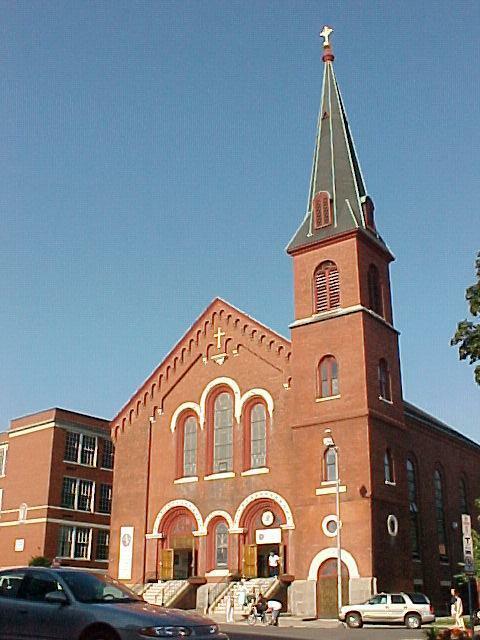 Well, here’s a picture of the first church I ever attended as an adult. 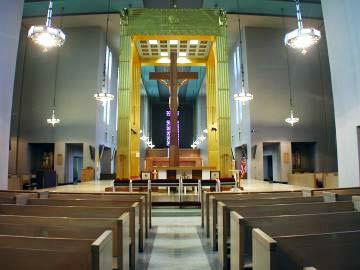 This is the interior of my second church (as it happens, about 2-3 miles from the first). To me, those look like churches, and more importantly – they feel like churches. Majestic, almost gothic. *sigh* I really miss New England. As happens so often, it’s been quite a while since last I posted, leaving TheMook.Net to languish in the ether. In my time away, though, I’ve enjoyed both a month-long vacation to Los Angeles, and a wonderfully refreshing return to my old New England stomping grounds. Much happened on both trips, all sorts of juicy realizations, foolish musings, and good old-fashioned fun; hopefully some of those thoughts will make their way here to the blog in the coming weeks and months. One thing I will mention, that struck me when I was back in Massachusetts, is that – I adore the ocean. Apparently sea water runs through these veins of mine, because nothing touches me quite like seeing the ocean. For 33 years of my life I could smell the sea air every single day just walking out my front door, always had the ocean just a few miles away. I miss it. 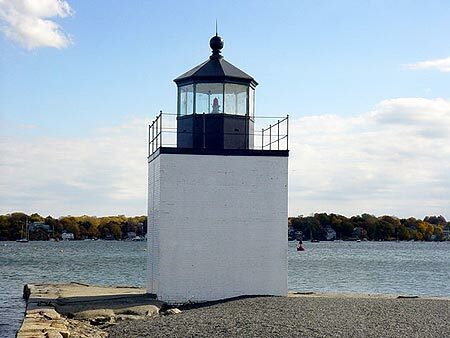 I used to walk from my house to this lighthouse a lot when I was a younger man. Countless hours were spent there, late at night, thinking the oh-so-important thoughts of a high school teen. It always feels like home to me. Seems like one of the few things that ever gets me to post is the death of someone I admired. Today’s turn of the wheel is Frank Frazetta, who, from early reports, appears to have passed away this morning at the age of 82. 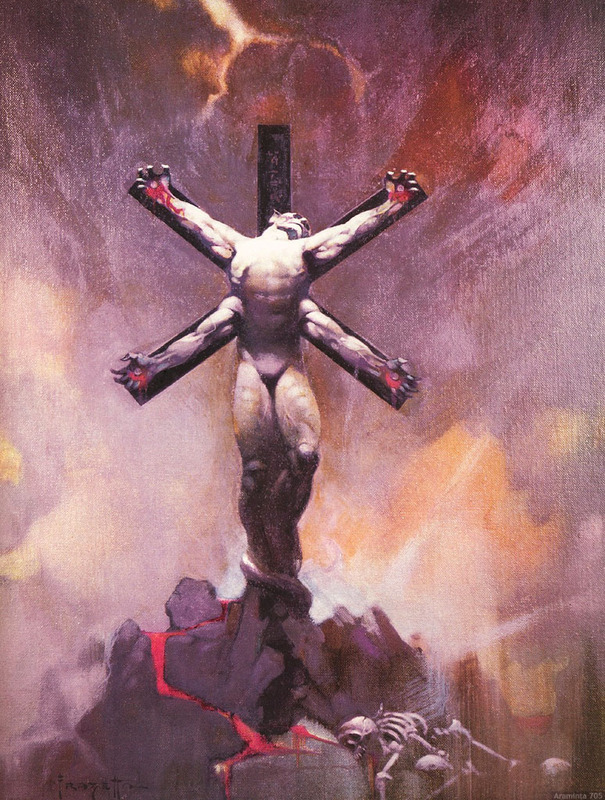 Frazetta’s oil paintings were the very definition of fantasy to me growing up. We all made AD&D characters based on his works, used them as enemies to battle in our games, or princesses to be rescued. His paintings were pure awesome, there’s really not much more to say. Most folks probably know Frazetta best for his Death Dealer series, but here are a couple of my other favorites. Rest in peace, good sir. Been tweaking around with my interface again (shocking, I know! ), figured I’d post what I’m playing with now for the AddOn addicts out there. Just a quick note – as I’ve done for the past couple years, with Christmas and my birthday coming up fairly soon I’ve created an Amazon Wishlist for friends and family looking to tickle my gift fancy this year. As always, the WoW Gift Card is the thing that really floats my boat – since WoW is about the entire extent of my socializing and entertainment, an extra two months is always cause for celebration! Just a quick note to let everyone know I’ll be out of town and away from the computer until around Sunday August 30th. I’ll catch up on email and forum posts when I get back. UPDATE: Actually I’ve extended my return date three times since I’ve been here! Currently scheduled for return on Saturday September 12th. UPDATE2: This is it now, for real – flying back to Tucson on Saturday night, September 19th … my week long visit turned into a wonderful month-long vacation and retreat.